Those barriers, however small they may be, could be the difference that will have potential buyers walking away because they don’t want to play Mr. Fix-it once they move in. 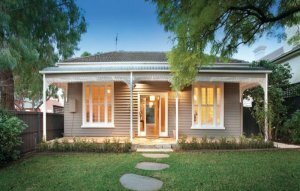 Here are five things you should consider fixing before putting your home on the market. Selling homes is often a numbers game – the more people you get through the door, the more likely you are to sell and the higher the price is likely to be. It’s important that the property makes a good impression on people as they arrive, or drive past. If you turn buyers off before they even get in the house, it’s going to be a lot harder to sell. That means fixing fences or anything that’s visibly amiss from the street. If you’ve got fences that are broken or falling over and things like that, just fix them and straighten them up. They’re always a big issue for buyers. 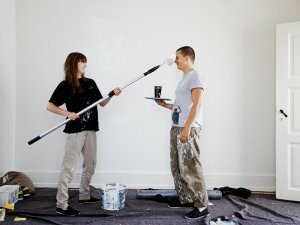 It’s cheap, it’s relatively easy and it’ll almost certainly pay for itself, come auction or sale time – a fresh coat of paint to fix any blemishes or a tired décor will make a world of difference. Walls with marked, chipped or damaged paint are very noticeable to buyers and need to be remedied. Ideally you would paint both inside and outside, because peeling paint is quite common and even though it’s just peeling paint, some people can mistake it as a leak or damage. Sometimes the ceilings internally don’t need it, but usually you would just freshen up the whole house. For the cost involved, you may as well paint the whole thing. If it’s significantly worn, stained or damaged, you should look at either replacing it, or pulling it up if there are floorboards beneath. If the carpet isn’t in great condition and there are floorboards underneath, that can be quite an affordable option, because you won’t be paying for materials, just labour, because you’re just ripping up the carpet. The labour cost is just sanding and polishing the floorboards. If floorboards are not an option, new carpet can be good in the bedrooms. 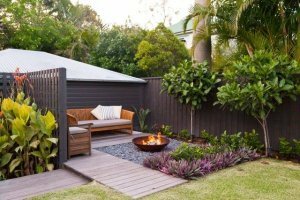 Over the years you’ve probably learned to avoid that rogue paver or brick that sticks out slightly from your garden path. In fact, you’ve probably forgotten it’s there. But first-time visitors to your home will almost certainly find a way to trip on it, so you should fix anything that could trip or impede people as they walk through the house. Looking at the safety issues is one of my biggest concerns. You don’t want people walking through and tripping over anything. Gardens and pathways, as you’re walking up to the front door, if someone trips over a paver that’s raised a little bit, that’s going to be in their head. Leaks or missing tiles will be among the first things that are picked up in a building and pest inspection, so if you know there are issues there, get ahead of the game and fix it now. 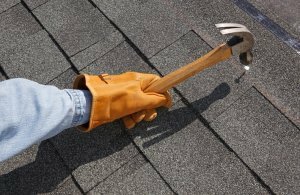 Re-doing an entire roof isn’t cheap, but an obviously damaged roof will either deter buyers, or cause them to look for other defective areas throughout the home. If the roof is in poor condition and there are missing tiles or leaks or anything like that that people always thought they’d get fixed, this is a good time to do it. These 5 things are usually the biggest red flags for buyers, but with these minor adjustments we’re sure your property will make the perfect first impression. Happy selling!